This week China selected its next set of Communist leaders for the coming decade. There aren't many clues as to what the new ruling committee will bring. Then again, the Chinese political system is famously inscrutable anyway. 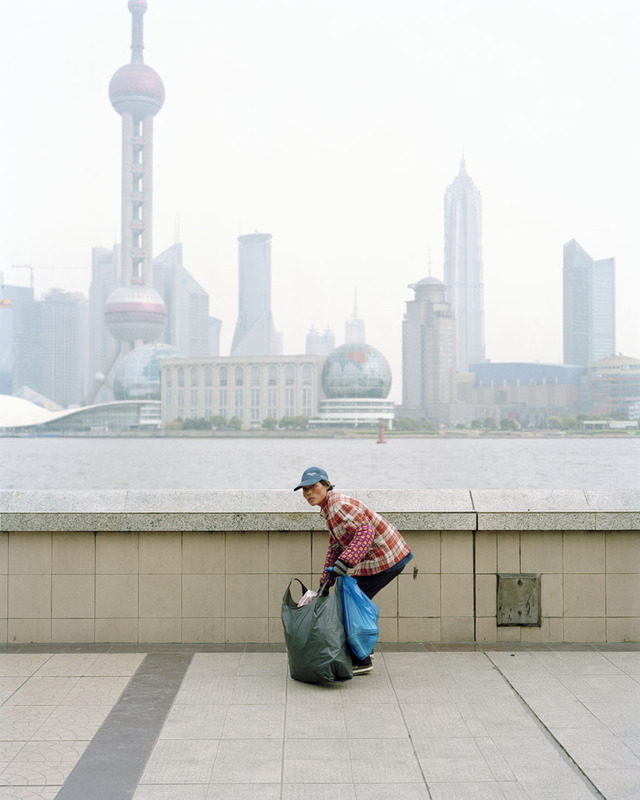 The same mystery surrounds the images the photographer duo WassinkLundgren shot in Beijing and Shanghai back in 2007. Empty Bottles was a project which emerged from their observation of bottles being collected by, well, who? Scavengers? Cleaners? Officials? The photographs could be seen as the document of an underclass still using every means possible to make a living, despite a booming ecomony. Or are they the mark of a naked ambition on behalf of the people to make even the smallest difference count? The new Communist leader, Xi Jinping , said in his speech, "Our people love life and yearn for better education, stable jobs, more satisfactory income, greater social security, improved medical and health care and more comfortable living conditions and a more beautiful environment." So the bottles may not be empty after all. In each one is perhaps that message. Empty Bottles was shown in Foam 3h from 9 March until 11 April 2007. The duo return to Foam in January 2013 with One Group Show. Are you looking for experienced assignment writers in the UK? Then you can hire Online Assignment Writer on studentsassignmenthelp.com at a very low price or you can send your price quote on our website. If you wish to get high score then you must take a visit of our website.